FIFA 17 is set to be released and EA Sports has been releasing the ratings for players in the Premier League, French Ligue 1, Bundesliga and La Liga. And according to the new ratings, former Nigeria skipper Vincent Enyeama is the highest rated Nigerian at 83 and one of two of Nigerian origin to be ranked above 80. 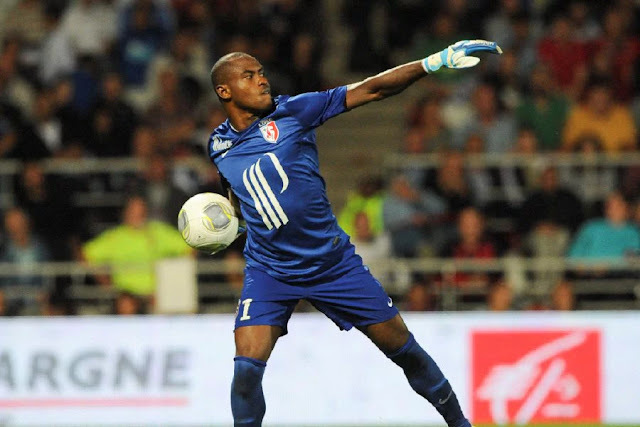 Enyeama, who is the no 1 goalkeeper at French club Lille OSC was rated among the top 20 players in the French Ligue 1 division after an inspired campaign last term where he joined the likes of Zlatan Ibrahimovic and Angel di Maria on the French football all-star XI. The 34 year old former Enyimba shot-stopper was ranked 11th overall with a score of 83, tying him with eight other players who made the same rating. He was awarded 78 points in diving, 80 in handling, 77 in kicking, 90 in reflexes, 50 for his speed while he got a rating of 78 for positioning. It shouldn’t be too long before the likes of Ahmed Musa, Kelechi Iheanacho and Alex Iwobi are all rated above 80. Hey Buddy!, I found this information for you: "Vincent Enyeama ranked Nigeria's best by FIFA". Here is the website link: https://360kwado.com/vincent-enyeama-ranked-nigeria-best-by/. Thank you.